Almost every morning I take a smoothie to work because I hate cereal and have no time to make anything other than toast at work. ? 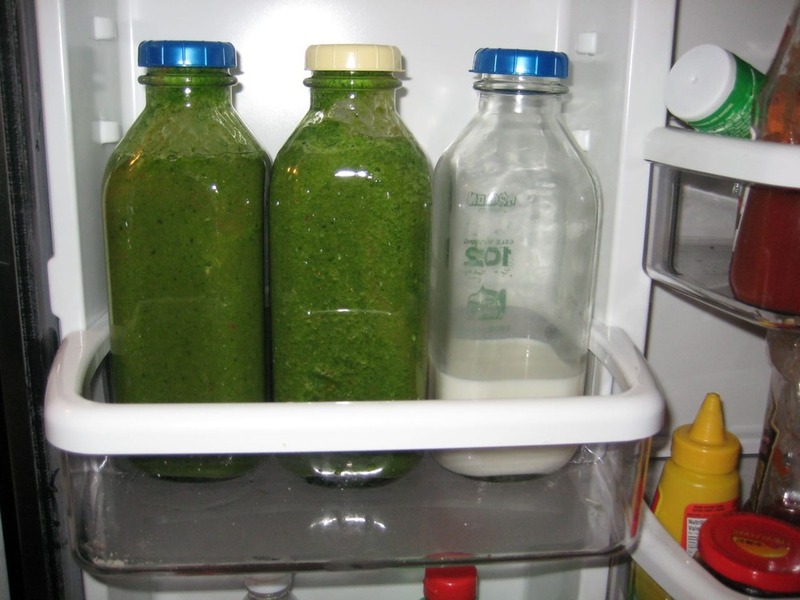 ?It hit me one day that I could make smoothies ahead of time and store them in glass jars so that it wasn’t a daily (and annoyingly loud) chore to blend everything. 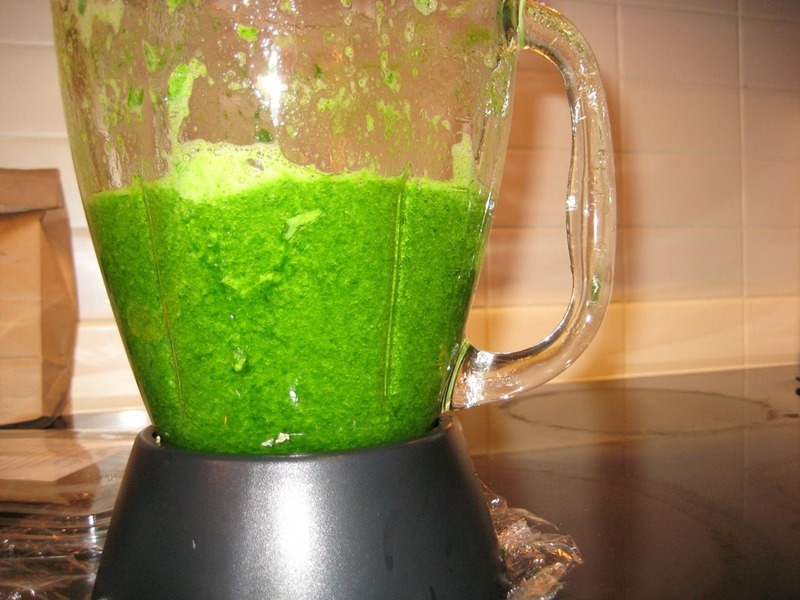 I’ve converted to putting fistfuls of spinach in my smoothies because it’s tasteless, makes things that are too sweet less sweet and gives me more dark leafy greens than I would normally consume (I hate the length of time it takes to eat a big salad). 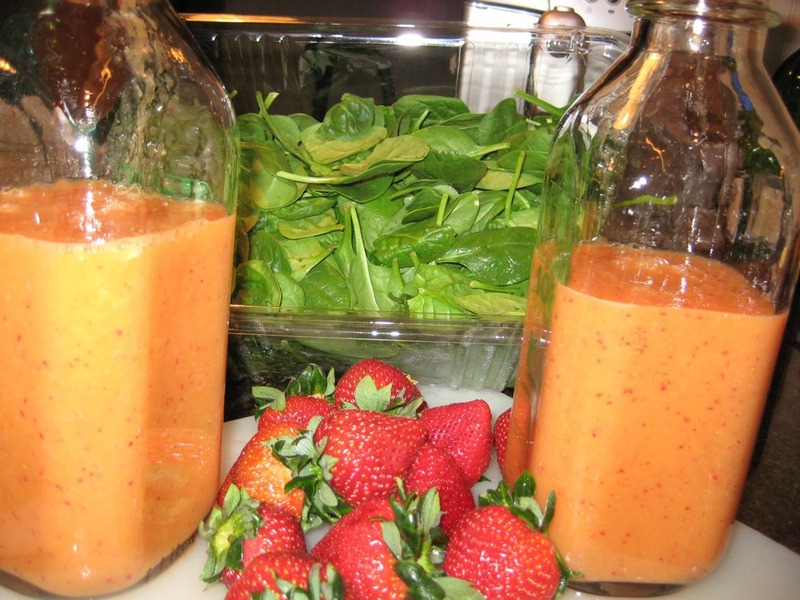 Here’s the Cantaloupe smoothie! ? 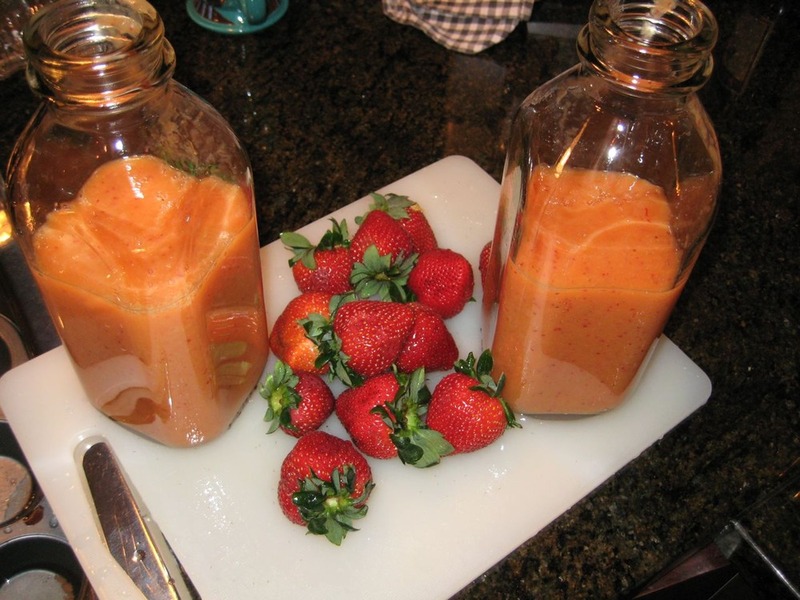 ?It takes alot of time to make one, so I just make 2 litres worth and store it in the fridge. ? 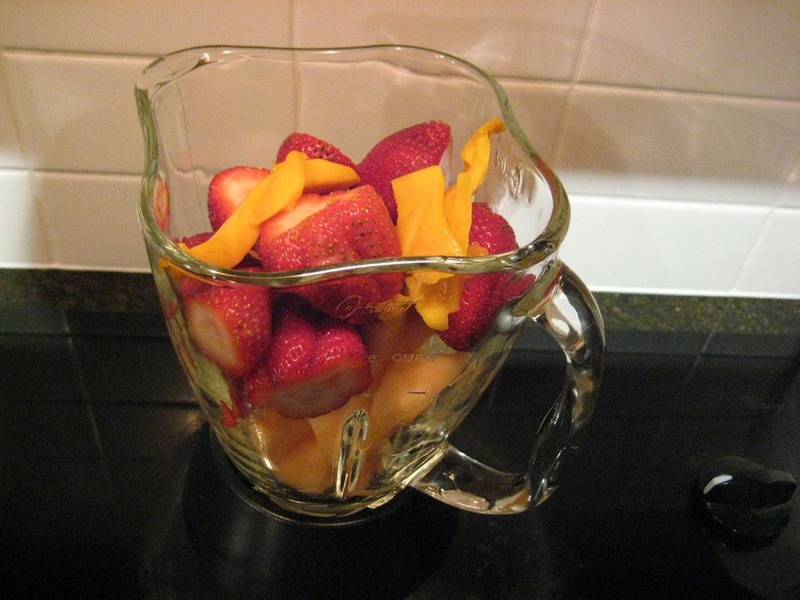 ?I blend the fruits first with water. ? 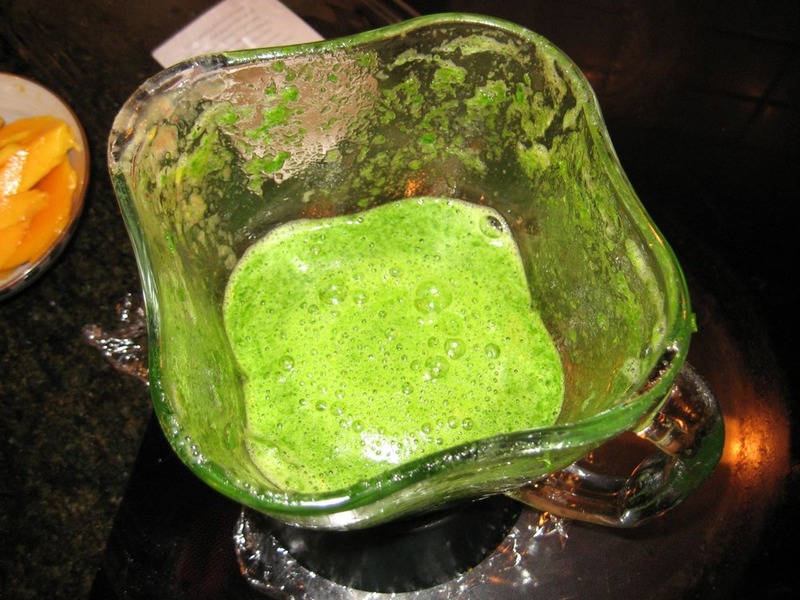 ?Then I pack as much spinach in the next batch and add water to liquify it. It’s better than the Happy Planet stuff which is too citrusy and acidic for my taste. 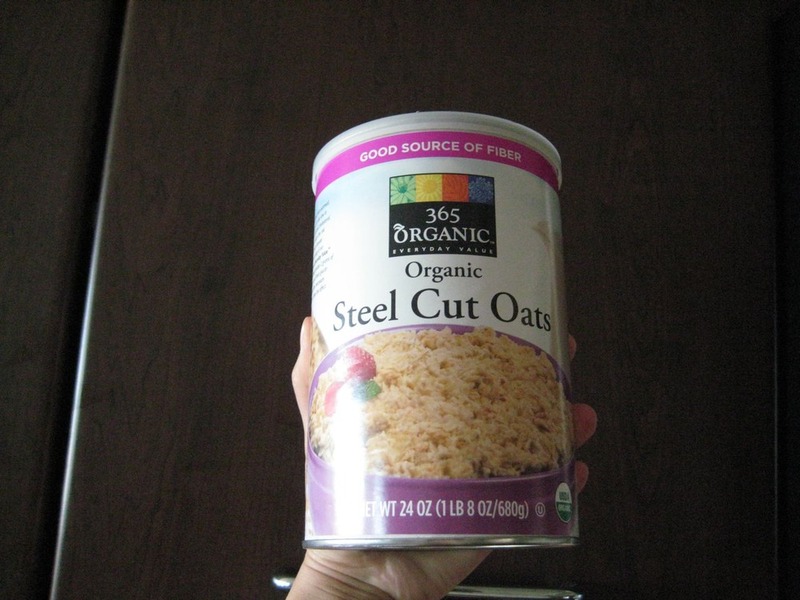 I’ve also recently discovered the wonderful world of steel cut oats! ? ?I was waiting for my running partner one Saturday morning at Urban Fare and didn’t get a chance to have breakfast before my run which is normally peanut butter and banana toast. ? ?So I bought a big bowl of oatmeal. 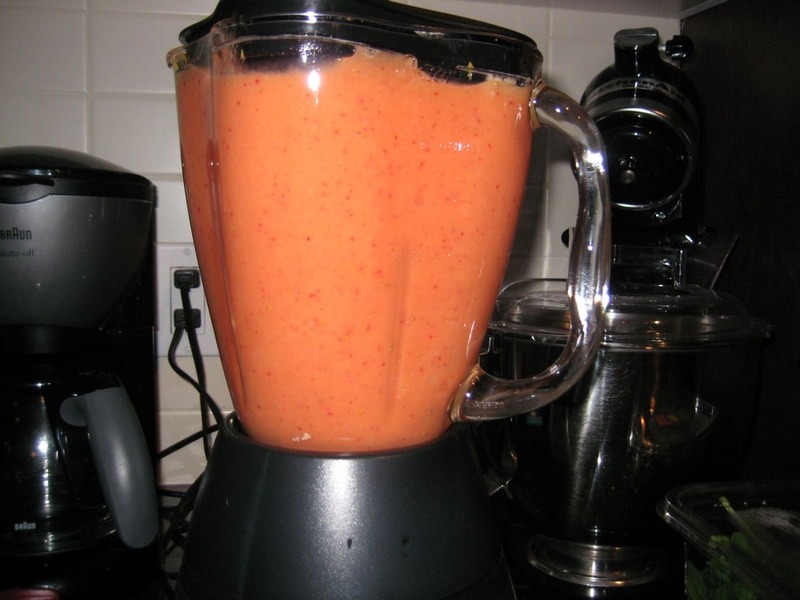 It was so good, I decided to make some at home. ? 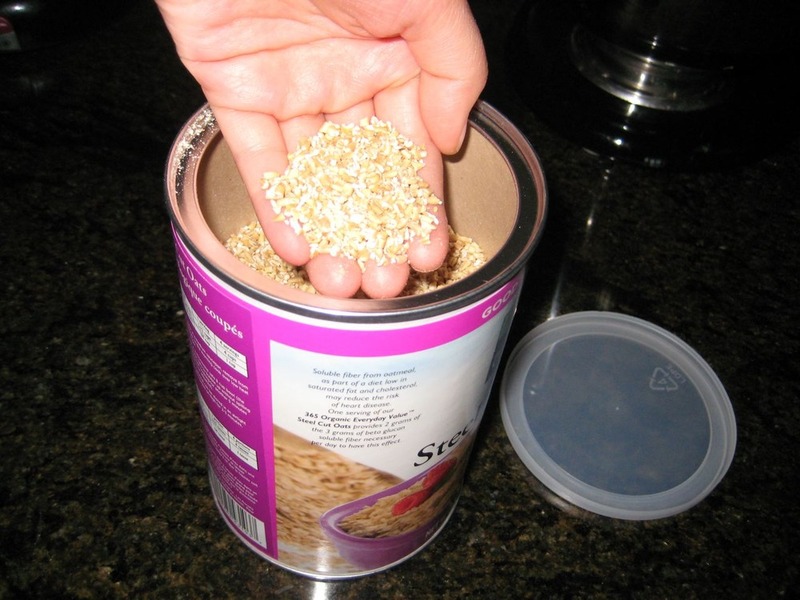 ?I will never have that instant rolled oat crap ever again. ? ?The only thing I can compare it to is dried pasta versus fresh pasta. Texture and taste is completely different. 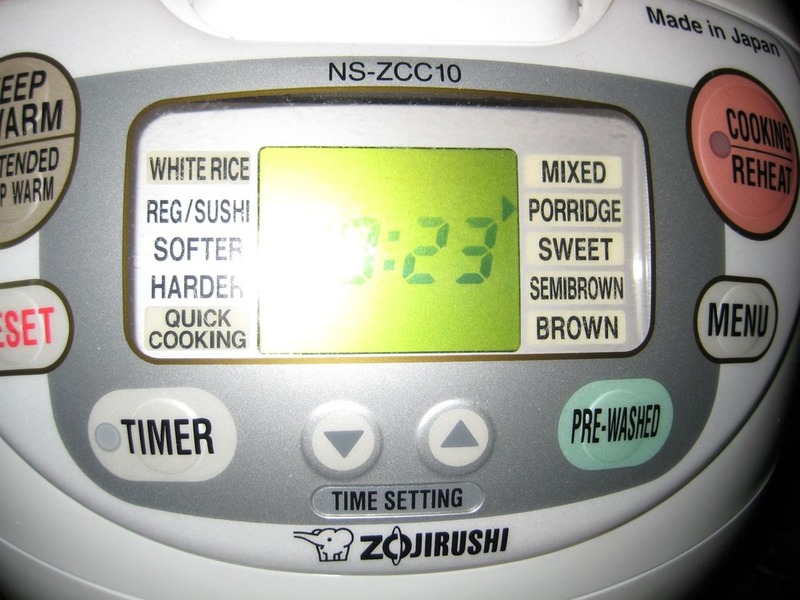 Because steel cut oats can take up to 45 minutes to cook, I did some research and discovered that my kickass ricecooker can make it for me the night before, and keep it at optimal heat until the next day or the day after! ? ?I mixed 1 part oatmeal to 2 parts water, set it on porridge mode (which lets the oats rest for 30-45 minutes and then steams it gently and viola! ?? This weekend I also went to my favourite store Williams-Sonoma to pick up some new Silplat baking mats and cookie sheets. ?? ? ?Ten minutes prior to that, I was unsuccessfully trying to convince Ryan that we needed a $150 bread knife. ? ?”It’s just a bread knife!! Why do you need one that costs $150!! !” he complained. ? ?Reason got the better of me and we strolled over from House of Knives to Williams-Sonoma to get my baking equipment where I found this awesome bread knife. 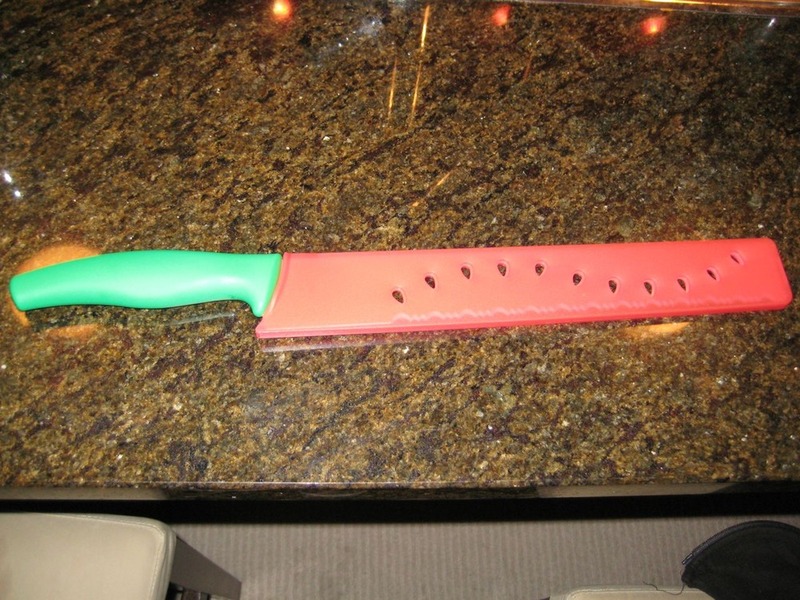 This awesome watermelon themed bread knife was $38. Score! I’m sure it’s still an unreasonable amount of money to pay for a bread knife but compared to $150, I quickly convinced Ryan it was ‘relatively’ cheaper, bought it and rushed out the store before any second thoughts could be had. ? ?Good job May, good job. ? ?I love kitchen gadgetry. I also love convincing Ryan that we need unreasonable things? ?and unreasonably priced wares ;). Next time I’ll just show him the most expensive product, buy the 2nd most expensive one and run out of the store before he can change his mind. ? ?Hi Ryan! Love you dear! Back to my knife. ? ?This is Vern sniffing the goods. He approves. He never judges my purchasing habits. The knife comes in a carrying case. 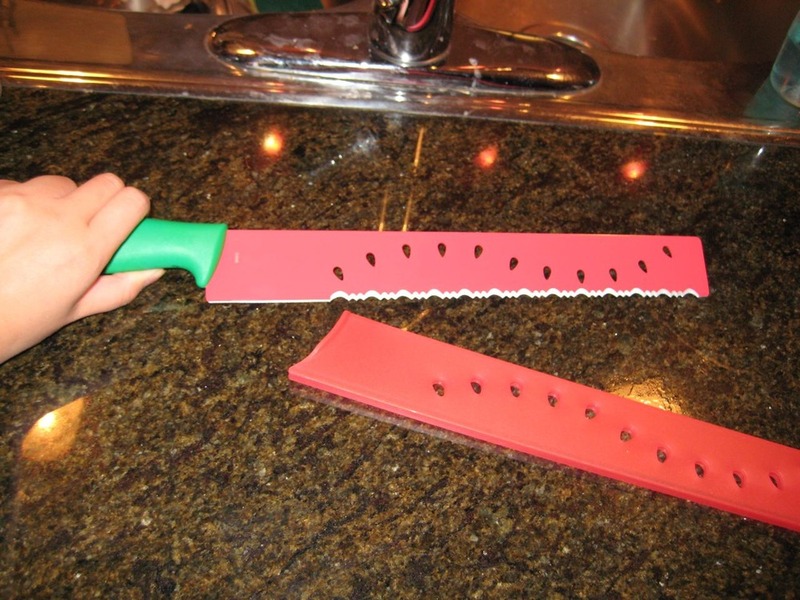 I suppose it’s to take to picnics to cut watermelon. There’s even watermelon seed holes!? ?